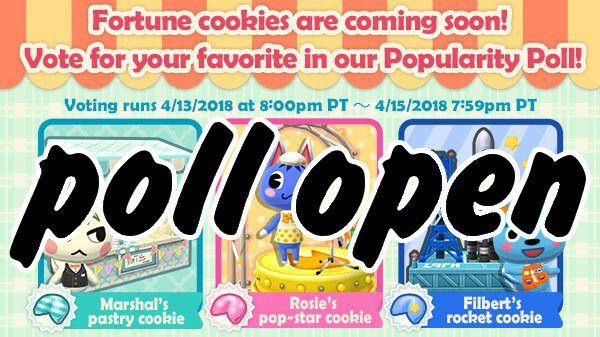 Not long the upcoming fortune cookie update was brought for our attention, a poll was announced where players could vote for their favorite fortune cookie, and the winning fortune cookie would be sent to all campers. If you wish to vote, head on over to the Official Twitter page, and scroll down to find the poll. 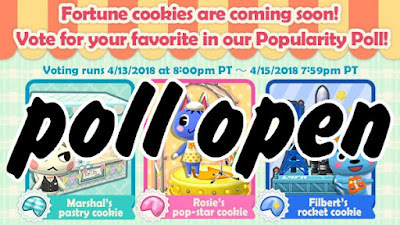 You can cote for Marshal's party cookie, Rosie's pop-star cookie, or Filbert's rocket cookie. We've linked the poll below. The poll is open from April 14th, 1pm AEDST, and will close the same time the following day. Though by the looks of it, it seems Marshal is going to win by a landslide.